From sporty midsize to large luxury to stylish hybrid, the following five cars prove that you can, indeed, find some of the best car leases under $400 per month. Of course, these choices may not prove to everyone’s liking, but they do point out the variety and value of what’s available today in this still-affordable monthly lease payment. 2013 Acura TL – For some, the styling is considered polarizing, but others say you can’t judge a car by its exterior looks. The proof has to be in the driving, and it’s here that the 2013 Acura TL midsize sporty sedan offers a balanced performance that families will find engaging. The interior is also spacious and comfortable, with numerous high-tech features, not bad attributes for a near-luxury car. 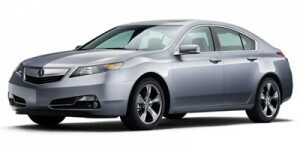 As for the lease deal, the Acura TL comes in at $390 per month on a 36-month lease. Best of all, there’s $0 due at signing. 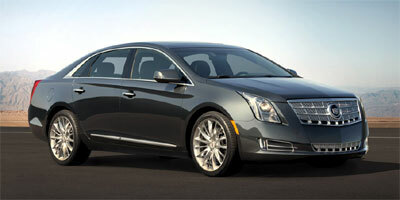 2013 Cadillac XTS – Coming in right under the $400 per month price bogey, the 2013 Cadillac XTS Standard (bases) model is available with a 36-month lease for $399 per month, with $3,999 due at signing. 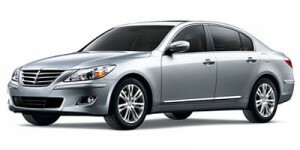 The luxury large sedan boasts a powerful V6 engine, a composed ride on winding roads, comfortable interior fitted with high-quality materials, lots of standard and safety features, and EPA-estimated fuel economy of 17 mpg city/28 mpg highway. The back seat is also large, as is the trunk. 2013 Hyundai Genesis 3.8 – The rear-wheel drive 2013 Hyundai Genesis 3.8 is powered by a 3.8-liter V6 engine mated with an eight-speed automatic transmission. 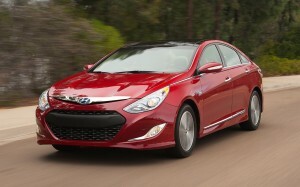 This produces 333 horsepower and achieves an EPA-estimated 18 mpg city/28 mpg highway fuel economy. Considered a large luxury car, the Genesis 3.8 seats five in comfort and style, boasts excellent safety and reliability scores and comes with a long list of standard features. A 36-month lease is available at $399 per month, with $2,499 to be paid at signing. 2013 Hyundai Sonata Hybrid – Meanwhile, the midsize 2013 Hyundai Sonata Hybrid is also an attractive lease car that is available with a $325 per month, 36-month lease and $0 money down. With its more powerful electric motor coupled with a four-cylinder engine, the Sonata Hybrid gets an EPA-estimated fuel economy of 36 mpg city/40 mpg highway – good, but not as efficient as the Ford Fusion Hybrid. Highlights of the Sonata Hybrid include its comfortable interior made with high-quality materials, near-lifetime warranty and easy-to-use tech features. 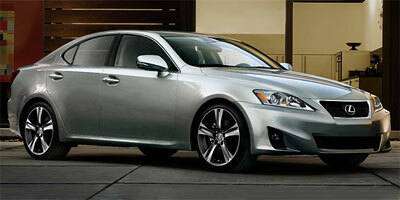 2013 Lexus IS – The 2013 Lexus IS upscale midsize car offers a sporty exterior and luxurious high-quality interior. While not as athletic as the BMW 3-Series or as prestigious as the Mercedes-Benz C-Class, the Lexus IS provides performance that is well-balanced, along with exceptional value and reliability. Lease the Lexus IS for 27 months at $319 per month and pay $2,599 upon signing. One other reason to check out three of these five cars is that the Acura TL, Cadillac XTS, and Hyundai Genesis are Top Safety Picks from the Insurance Institute for Highway Safety (IIHS). In fact, the Acura TL earned the Top Safety Pick+ designation, the highest available from the IIHS.